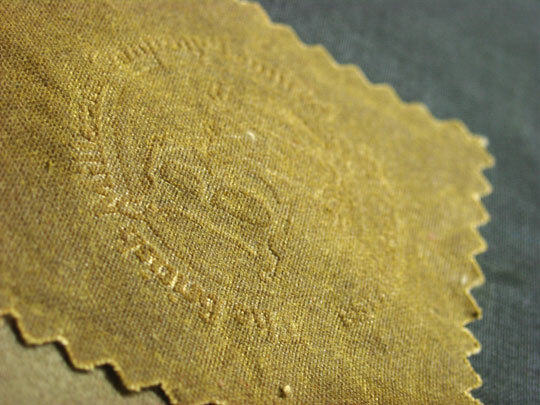 Wax cotton - A Millerain original | British Millerain Co. Ltd.
Wax cotton was adopted by the Navy, who had originally been using cotton garments soaked in linseed oil as protection from the elements. Linseed oil was known to become stiff in cold conditions and deteriorate over time. British Millerain oil-based wax offered superior protection from the cold harsh winds and driving rain. As our expertise and client base grew, we acquired Francis Webster in 1987 and continued to bring cotton into the UK for finishing. Demand for wax cotton remains strong today, a testament to its unique weather resistant properties and aesthetic appeal. In more recent years, wax cotton and wax-like finishes have been embraced by the fashion industry and we are seeing growing interest from outdoor and country pursuit brands. Since the first Millerain rainproof finish was patented in 1894, we have been investing in R&D to develop new and exciting finishes for our customers. In addition to classic wax cottons, our range of textiles includes natural beeswax and soywax, washable wax, coated and bonded cottons and various dry finishes. We are showcasing our complete collection at several exhibitions throughout the year – come and pay us a visit or contact the office for more information!